Faithwire has reported several of the stunning imagery emerging from the havoc Hurricane (now tropical storm) Florence has wreaked on the east coast today. Flooded homes, streets, and neighborhoods have become a common sight. While it was favorable that the storm downgraded slightly before it hit shore, it has still been a deadly storm, claiming the lives of at least four people. Earlier today cameras capture the emotional scene outside one of the homes where tragedy occurred. 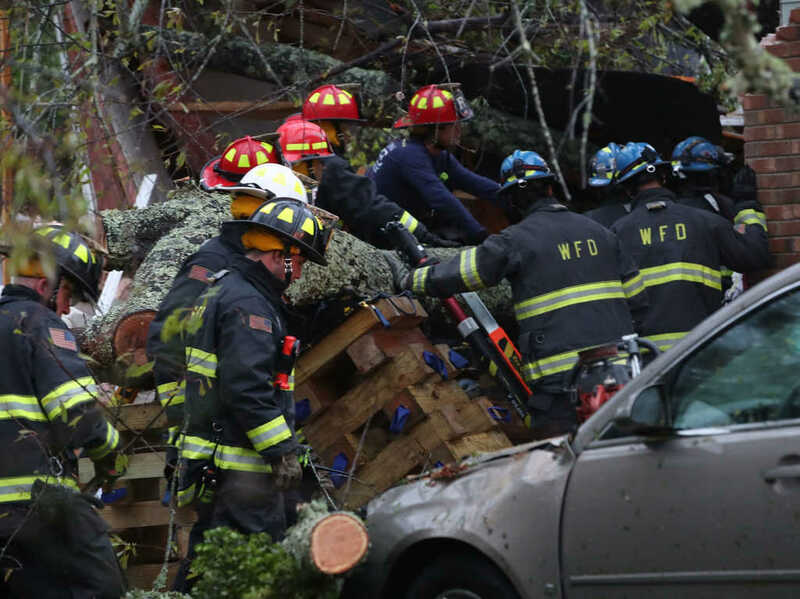 A tree that succumbed to the wrath of Florence hit one home, killing a baby and its mother. The father survived the horrifying ordeal. Firefighters could be seen kneeling in prayer after learning the devastating news. Continued prayers for all impacted by this storm, including this father and his family, who are suffering immeasurable loss.